Unbeknownst to everyone, Eminem released his new album last night. Kamikaze is his second solo project in the space of eight months. 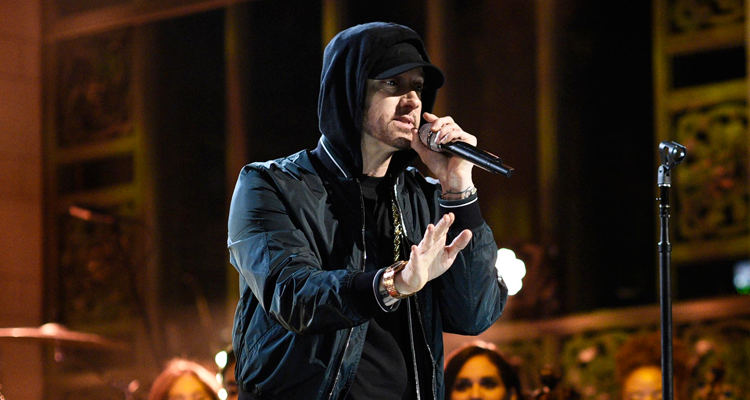 Including 13 songs and 45 minutes of playing time the Rap God takes no prisoners as his latest work features guest slots from Jessie Reyez (twice), Joyner Lucas, Royce Da 5’9” as well as his manager, Paul Rosenberg. The artwork for Kamikaze is an illustration of the jet rudder and stabilizer from the Beastie Boys’ ‘80s hit Licensed to Ill cover. The flip side has the jet crashing on impact. “Tried not 2 overthink this…enjoy,” Em tweeted. Produced by Dr. Dre and Marshall Mathers (aka Slim Shady), Kamikaze courtesy of (Aftermath/Shady Records/Interscope Records) is Eminem’s 10th studio album and the followup to 2017’s Revival, which hit #1 on the Billboard 200. Listen to Kamikaze below.